honey and fizz: The Nursery. So the nursery is complete. Well, we just need the baby as the finishing touch! And maybe a rug. I just couldn't find one I loved. The Aeroplane Name sticker was from Graphic Spaces on Etsy. The cot was given to us by my sister in law, linen from Target and flat Britt bear from friends :) Hot air balloon from Ministyle. Expedit shelving from Ikea. Branas baskets from Ikea. Dresser doubling as a change table was custom made from a Whitewood warehouse. All wipes, nappies etc in top drawer. 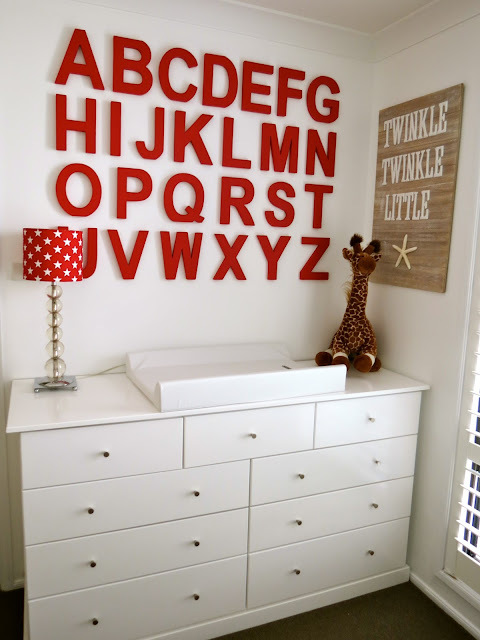 Wooden letters from Typo painted red. 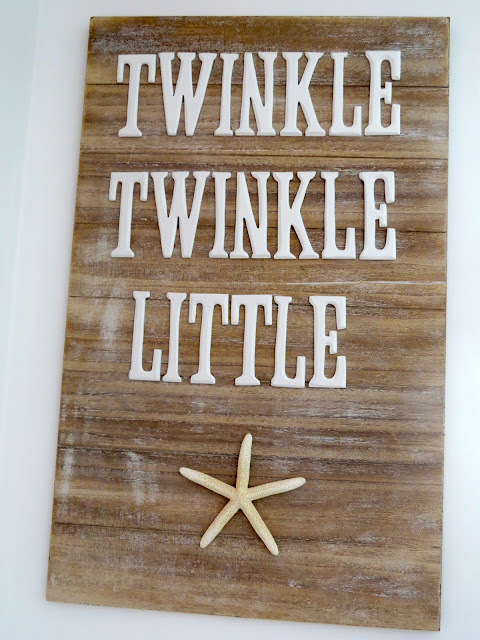 Twinkle Star board from Alfresco Emporium. My own lamp-base (originally from Freedom) with a star shade from My Little Lighthouse. White shelves are Ikea spice racks with the rails taken off. Smile print from seventytree on Etsy. Frame from Big W (Vienna range) , monkey was a gift, red wooden apple from Typo. Pram Kikki K card in an Ikea frame. Toadstool from Typo. There you have it, I've kept it all very simple and neutral and will keep looking for a rug to finish the room off. Ok baby, ready when you are! oh Simone it's lovely! You look like you are very very ready for baby! 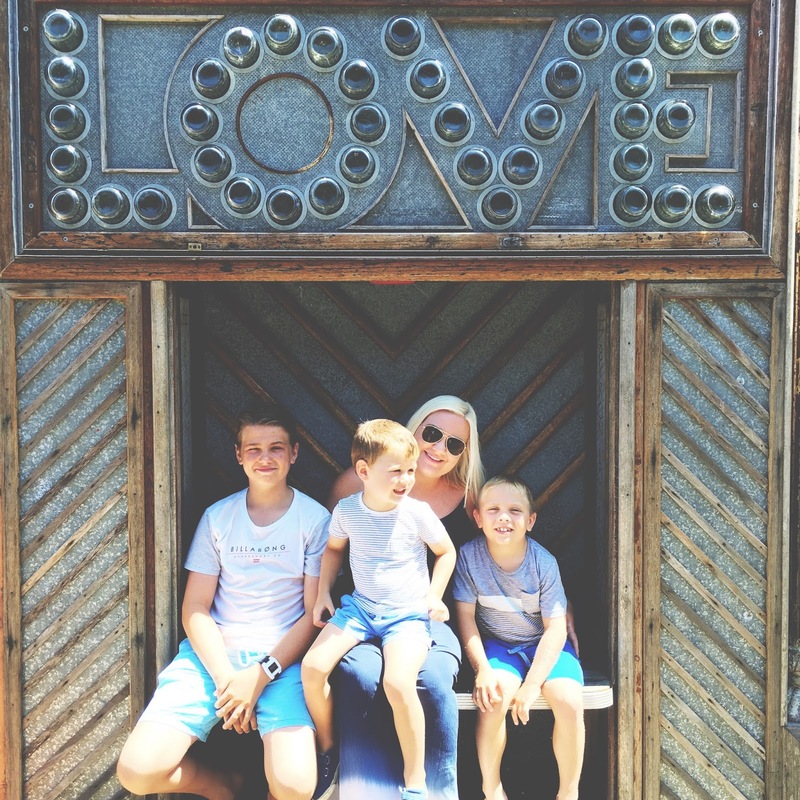 Love love love! Looks fabulous! Wonderful job. They say black, white and red are the first colours to be seen so the baby will be in heaven from the get go......looks amazing! Oh I love love love it!! Well done - that looks spectacular. Wow! Simone you have done a Stella job. The room is absolutely perfect. 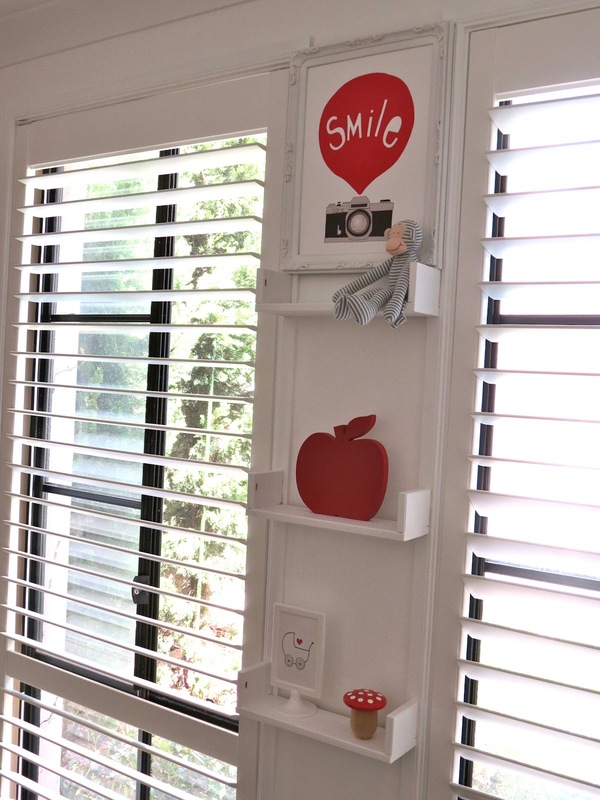 I love so many things the wall decal, the smile print, the expedit,the colours, well you get the picture I love it. Can't wait to see baby pics and find out the name. Oh wow, it looks fantastic. I love everything about that room. Totally in love with the shelves! This makes me want to have another baby!